This new streamer pattern from Andrew Grillos gets the job done. I’ve known Andrew for about a decade and I learned pretty quickly to pay attention to what comes out of his fly box. Patterns like the Hippy Stomper, Party Animal and Bob Gnarly are epic producers and when I heard he had a new streamer pattern, I was all ears. 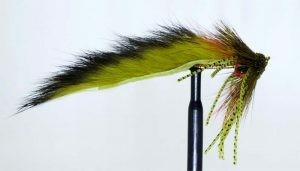 The Stranger Thing is a wiggley, fishy looking creation, newly available from Umpqua. Although I haven’t pined Andrew down on it, I assume the name comes from the TV show. When Grillos shaves his beard, he bares a striking resemblance to Gaten Matarazzo, on of the stars. Our buddy and contributor Brian Kozminski has done a great writeup and step-by-stem on tying the Stranger Thing over at True North Trout. Check it out and put a few Stranger Things in your box. There’s no telling what scary creatures will come out after it. 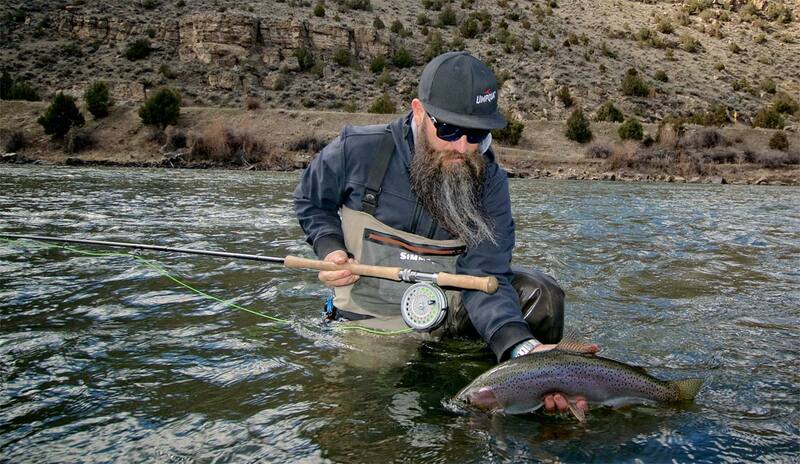 Andrew Grillos will be Teaching a tying class at Trout’s Fly Fishing in Denver on March 16th 2019. If you are in the area, you should check it out. Andrew’s skills are crazy and he’s the nicest guy you’ll ever meet. More info here. This entry was posted in Fly Tying and tagged The Stranger Thing streamer pattern by Andrew Grillos catches big trout and bass. by Louis Cahill. Bookmark the permalink.